Using LunaPic we can add an animated water reflection effect to the photos we have. The easy way is to choose the menu Animation> Reflecting water, select the image we want to give a water reflection effect, then click the Upload Now button. Instantly our photo will have a water reflection animation. If you want more flexibility in making water reflection effect, please see the effect of water reflection in photoshop. 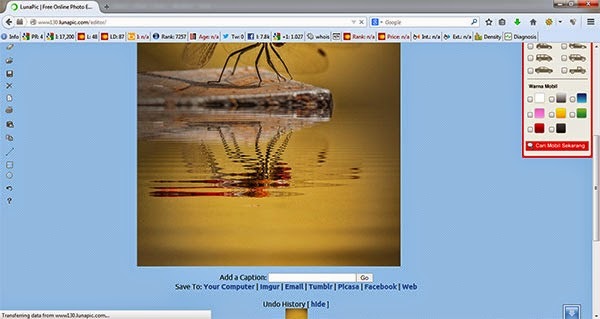 Follow the following online photo editing tutorial to create an animated water reflection effect online with LunaPic. 2. Upload Your Photos. 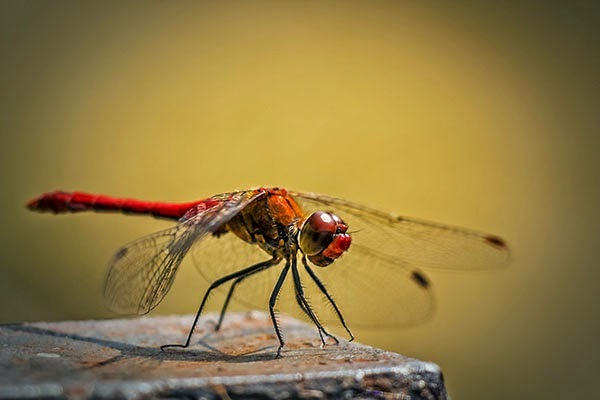 Click the Choose File button, select your photo then click Upload Now button. Picture: Upload photo. 3. Save Results To Computer. After uploading a photo, wait a few moments Lunapic processes the water reflection effect on your photo. After the results appear, please save to computer, click Link Save To: Your Computer. Lunapic you download photos to your computer. 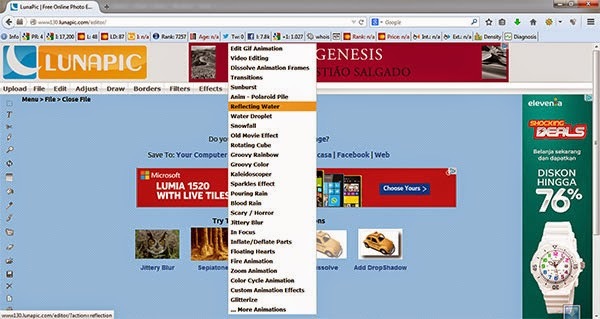 Image: Save results to computer. Menggunakan LunaPic kita bisa menambahkan efek animasi refleksi air pada foto yang kita miliki. Caranya mudah yaitu memilih menu Animation>Reflecting water, pilih foto yang ingin kita beri efek refleksi air, kemudian klik tombol Upload Now. Secara instan foto kita akan memiliki animasi pantulan air. Jika ingin lebih leluasa dalam membuat efek refleksi air, silahkan lihat efek pantulan air di photoshop. 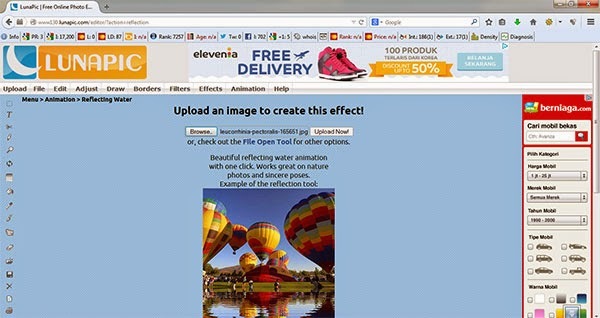 Ikuti tutorial edit foto online berikut ini untuk membuat efek animasi refleksi air online dengan LunaPic. 1. Buka Situs LunaPic Kemudian Pilih Menu Animation>Reflecting water. Buka situs www.lunapic.com kemudian pilih menu Animation>Reflecting water. Klik tombol Pilih File, pilih foto anda kemudian klik tombol Upload Now. 3. Simpan Hasil Ke Komputer. Setelah mengupload foto, tunggu beberapa saat Lunapic memproses efek refleksi air pada foto anda. Setelah muncul hasilnya, silahkan simpan ke komputer, klik Link Save To: Your Computer. Lunapic anda mendownload foto ke komputer anda. Selamat mencoba. Gambar: Simpan hasil ke komputer. Gambar: Foto sebelum efek air. Gambar: Efek Animasi Refleksi Air Online Di LunaPic.